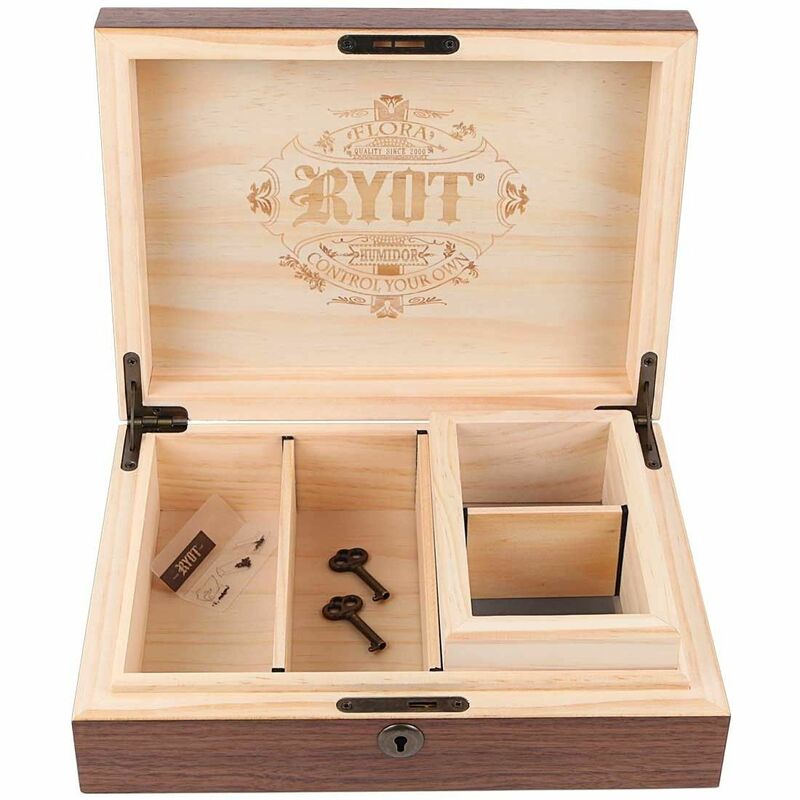 The 8 x 11 RYOT Walnut Wood Storage Box with 4 x 7 Sifter is a large lockable combo box from RYOT that offers multi-chamber storage complete with a sifter for the ultimate home smoking station. 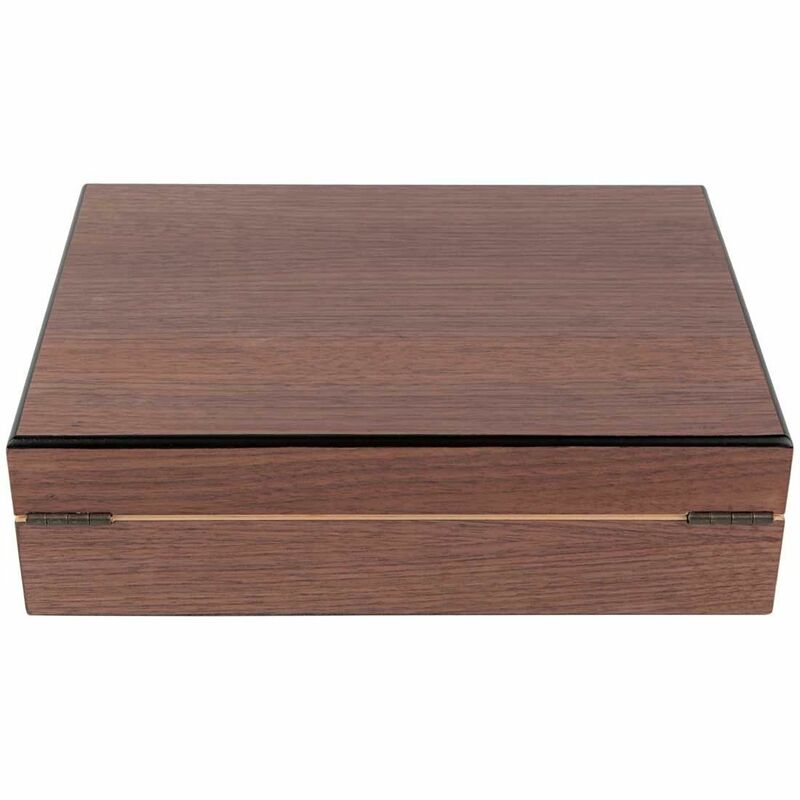 This quality storage box features a durable wooden construction with beautiful walnut wood finish that offers the clean aesthetics to match it's great functionality. 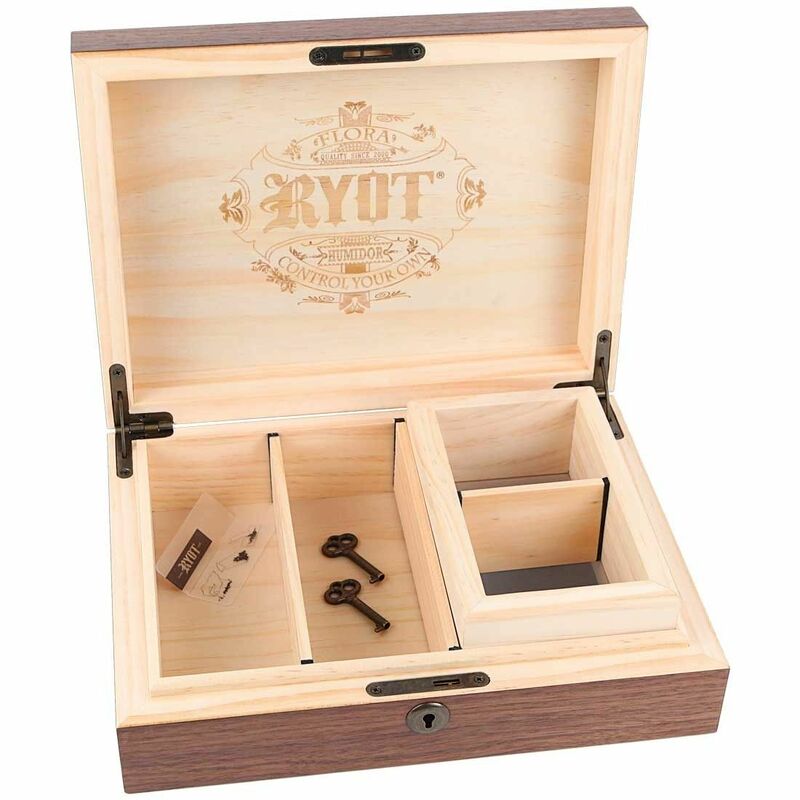 Inside the RYOT 8x11 Combo Box you will find a large storage area with an open-top 4x7 box insert. 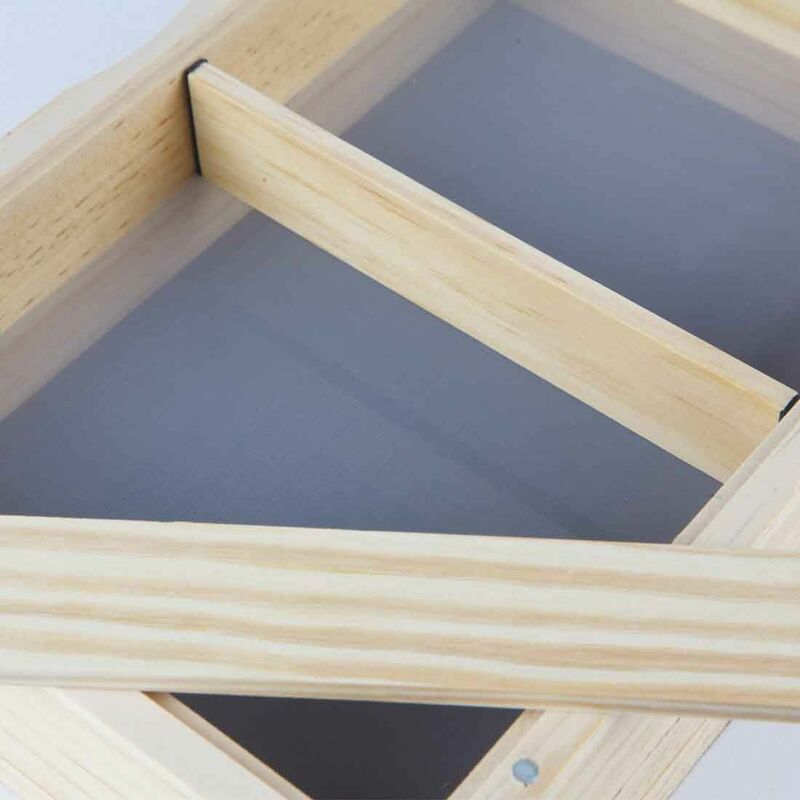 This insert is equipped with a fine mesh monofilament screen that is used to sift pollen from your material. 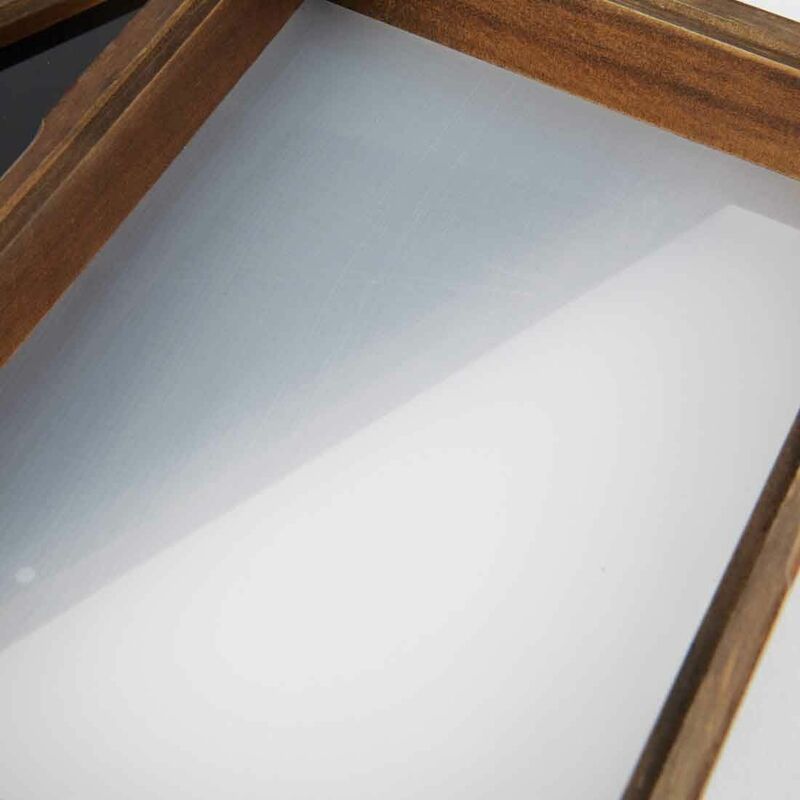 Store your dry smoking blends on this screen and in no time you will find a high quality sift building up on the seamless glass base tray. The remaining storage area can be used to store other material, your favorite pipes, rolling papers, lighters and any other accessories you may need during those smoke sessions. 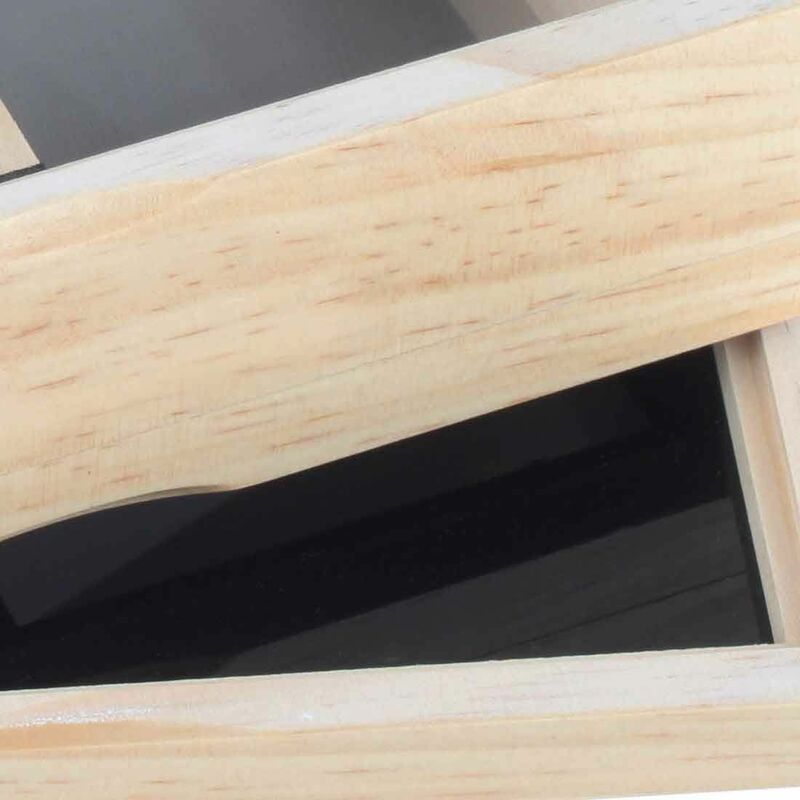 Each storage area is equipped with removable dividers that allow you to keep your RYOT Storage Box neatly together without it's contents freely mixing about. 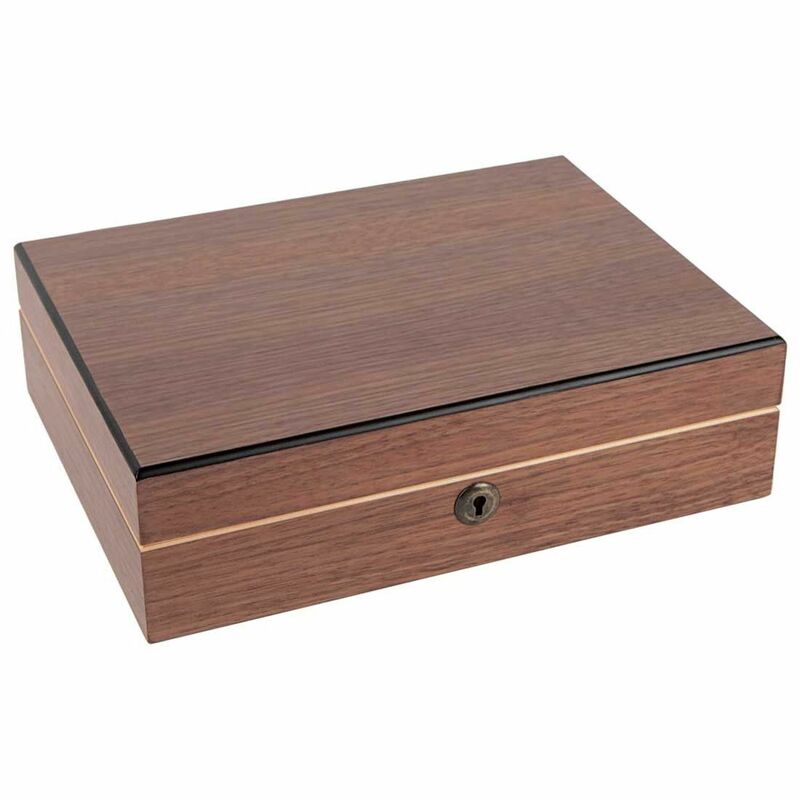 This premium storage box also features a hinged lid design with magnetic closure and locking option. 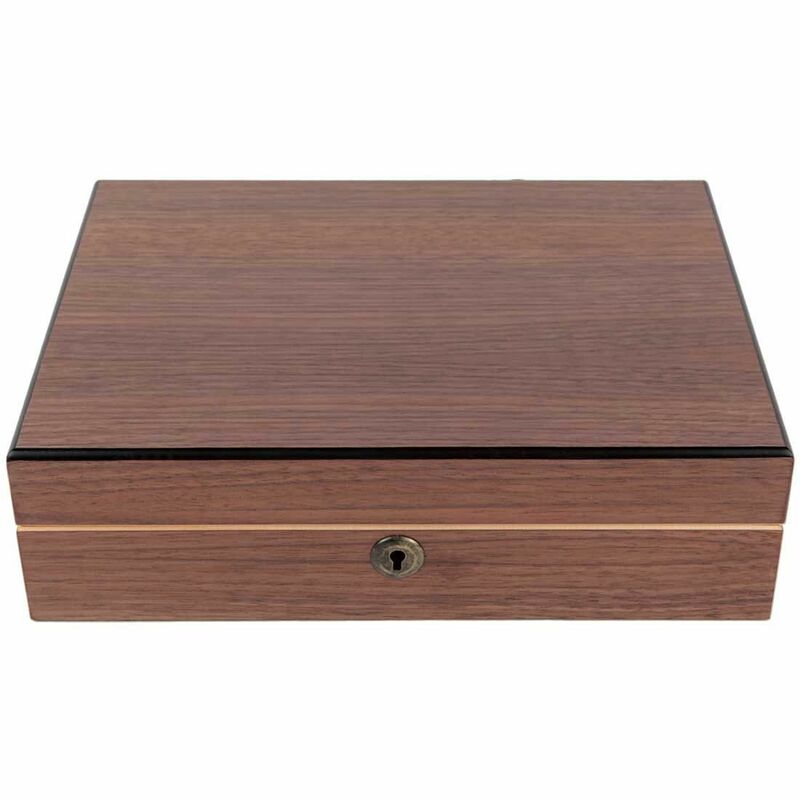 Keep your smoke stash safely secured at all times with this unique metal lock and key combo, don't worry about prying eyes getting a look at what you've got inside every time you leave the house. 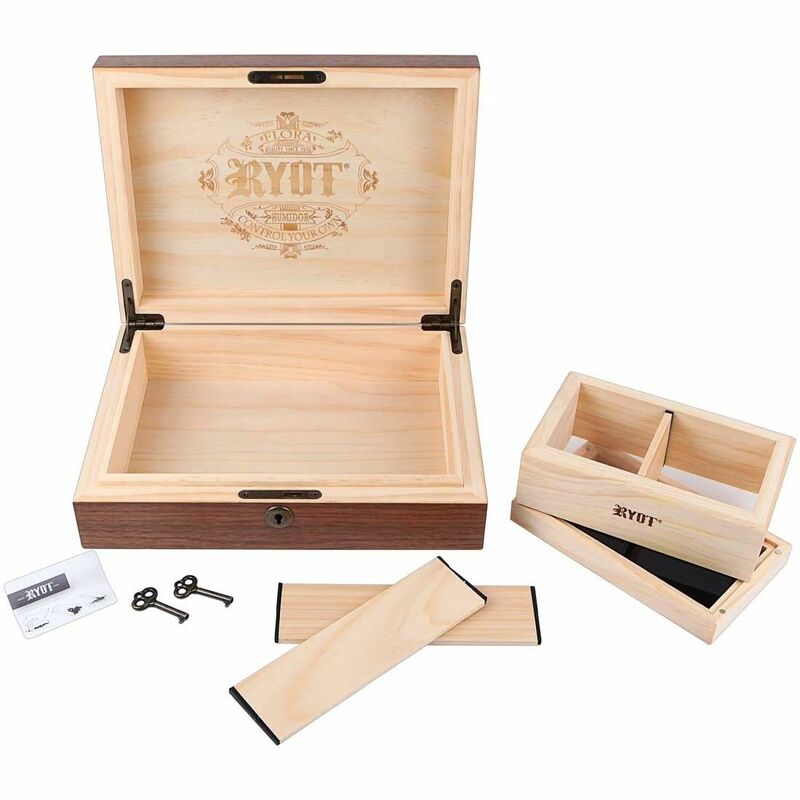 If all of that isn't enough for you, this innovative storage box can double as a fully functional humidor when combined with the Boveda 2 Way Humidity Control Humidipaks (sold separately). Storing your blends with these packs will help to keep your material fresher for much longer while also helping to improve color, aroma and flavor! Dimensions: 11 x 8 x 3.5"